When we were proud to be able to celebrate Lottoland's entry into the Guinness World Records, thoughts turned to some other record-breaking feats. We did some research so as to satisfy our curiosity and we now present our choice of the strangest car records in the world. We hope you enjoy reading about some of the craziest record-breaking cars you can imagine. Let's start with a topic that seldom gives pleasure to motorists - we are talking about the good old traffic jam. Yes, it does exist, the official record for the longest ever measured traffic jam. Every driver has their own story of motorway misery, but France takes the (unwanted) prize as the holder of this record. If you were unfortunate enough to have been trying to drive from Lyon to Paris on the 16th of February 1980, then you would have had to settle in for a long journey. The length of the traffic jam was measured at a scarcely believable 176 kilometers. Long before smartphones and the Internet were accessible to the masses, holidaymakers and locals had to become creative while passing the time in a stationary vehicle for hours on end. If traffic isn't moving straight ahead, you might come up with the idea to try your luck on higher ground instead. Perhaps the German Matthias Jeschke thought that when he set out in 2007 to "climb" the Chilean volcano Ojos del Salado. Matthias didn't bring along crampons and climbing gear to assist, but instead elected to try and drive his Jeep Wrangler to the summit. Matthias and team managed to climb the 6,646 meters in altitude to get to the top of the highest volcano in the world. In doing so they claimed the world record for the highest point ever reached by car. If the thought of that fresh mountain air has cleared your head, you may like to try the next record. Of course, one classic record can't be left out of our car-related world-beaters. We present the most expensive car in the world: and this time, in the battle of the dream rides, Italy clearly comes out on top. A Ferrari 250 GTO, built in 1963, changed hands in 2013 for the not inconsiderable sum of 60 million euros from an anonymous buyer. 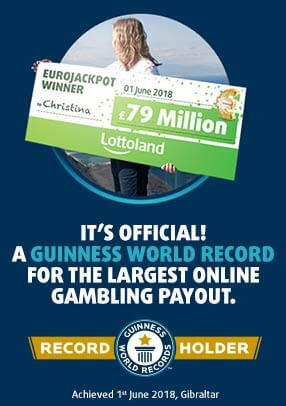 Our record Lottoland winner Christina who won €90 million from betting on EuroJackpot could easily make a counter offer, but for most of us that price tag is a little over budget. Much more affordable is the cheapest new car of all time. That prize goes to the 1922 Red Bug created by the American company Briggs Stratton Co. sold for an average of around $ 125-150. Even in 1922 that was a steal, although the drawback was that the buyers had to assemble the car themselves. Whether the cheapest car could break the following record seems unlikely. Although both of the previous vehicles have plenty of years under the hood, a Volvo P1800, built in 1966, is undisputedly the most durable car in the world, having covered a total distance of more than 4.83 million kilometers! Things start getting weird now, as here comes the hairiest car in the world. A Fiat 500 owned by a couple of Italian car lovers earned this rather wacky title. A total of 120 kilograms of natural hair covered the vehicle when it was officially weighed in March 2014. Incidentally, the hair used had been combed, washed and dyed, although the corresponding barber bill has not been submitted. Lots of motorists fall in love with their vehicles, although perhaps the next record is taking things a little bit too far. The longest kiss between man and car lasted 72 hours - a truly romantic record as I am sure you will agree. Luckily, this record isn't quite as crazy as it sounds. This was not a declaration of love between man and machine, but instead a contest held by Chevrolet with the winner earning a free car. Messrs Ambrosio and Vita from Mexico both lasted 72 hours when the competition organisers decided to declare both of them the winner and give a car (plus that world record) to each man. There may not be any kissing involved in this next record, but close physical contact was certainly unavoidable. How many people fit in a smart car? This question arose in 2011 and a group of cheerleaders from Glendale stepped up to the mark to try and provide a definitive answer. If you've ever ridden in one of these compact cars you may be surprised to discover that they managed to squeeze exactly 20 people into one of them! No article like this would be complete without the classic "the fastest ever..." car records. But since we like to swim against the tide here at Lottoland, we are going to take a look at some more of the more unusual mobile records. A particularly fluffy and comfortable speed record was set by Tom Onslow-Cole from Great Britain in 2016. He converted his bed into a vehicle and managed a top speed of 135 kilometers per hour on a racetrack - a new world record for the fastest bed. If a bed can race around a track then why not a toilet? At least that's what serial inventor Colin Furze thought in 2013 when he set out to create and drive the world's fastest toilet. In the end, he made it to a nippy 85.6 km / h, pretty handy if you are ever caught short and he is in the neighborhood! The world record for the fastest lawnmower looks almost sensible when compared to Mr Furze and his racing toilet. At one time this record was held by the gang from the Top Gear TV show, but that record was smashed in 2015 by a Viking raider. Norwegian Per-Kristian Lundefaret steered his modified Viking T6 lawnmower to a top speed of 214.967 km / h on an airfield in 2015 to take the record which remains unbeaten to this day. 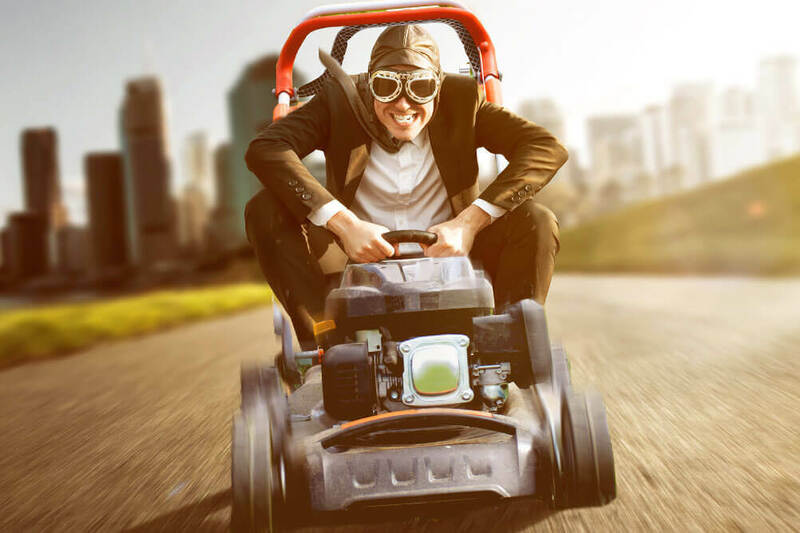 Believe it or not, driving very fast is even easier when you dispense with lawnmowers and toilets. The holder of arguably the most prestigious speed record is Brit Andy Green driving the specially designed 'Thrust SSC', who reached the incredible mark of 1,227.985 km / h to take the title as the fastest car in the world. The record was set all the way back in 1997 in the Nevada desert, and this was also the first time a car ever broke the sound barrier. Almost half as fast, the fastest electric car raced across a salt lake desert in Utah on 19 September 2016. The American Roger Schroer steered the electrically driven vehicle to speeds of 549.211 km / h over the salty ground. The vehicle was developed by, among others, students from Ohio State University. At 91.332 km / h comes the fastest solar car, which took the record in August 2014 at the Japanese airport Shimojishima, with rally driver Kenjiro Shinozuka at the wheel. Two wheels speed records can also be broken, even without a bike, moped or motorcycle. Vesa Kivimäki from Finland proved the point on August 31, 2016 in his home when he managed speeds of 186.269 km / h on just two wheels of his car - the fastest side-wheelie of all time! Finally, we have two more classic car records, covering both ends of the size spectrum. The smallest motorised car was created by the Denso corporation in Japan and is so tiny that it can use a matchstick as a bridge. With a length of 4.785 mm and a motor diameter of 1 mm, the tiny vehicle won't break any land speed records with its top velocity of 0.018 km / h.
Much longer is the following stretch limousine. With a total length of 30.5 m, Jay Ohrberg (USA) developed the world's longest car in 1986 - with a swimming pool and a waterbed on board to add that extra touch of class! Records will continue to tumble, whether in cars, in the lottery or just about any activity you can imagine. We look forward to what may come, because the human imagination knows no bounds. We wish you every success in setting new records too - whether they are world-beaters or personal bests.